Google for Nonprofits, a membership program for nonprofits based in the U.S. and U.K. (with country-specific programs), is looking to amplify its online engagement. Though it has eligibility requirements, once accepted, you have access to free versions of all Google products, including tutorials for each to help you get started (not too shabby, we know). Organizations like Kiva, charity: water, BeatBullying, and UNICEF are part of the Google for Nonprofits community. Each of these groups has used Google's tools to heighten their awareness, particularly through Google Ads, YouTube, and Google+, among other features. We wanted to share the details of this free program with you so you can capitalize on these invaluable resources -- seven of which are shared below -- that can be game-changers for your organization's online awareness and fundraising campaigns. Google Apps includes 30GB of storage on Gmail and Google Drive, a cloud-based document-sharing and creation tool. Your nonprofit also receives 24/7 support for any technical issues you may encounter with these features. The benefits of the apps are substantial. For instance, if your team is disbursed in the field or operates in different countries, you can share and store information securely with Google Drive. Meanwhile, you can communicate online with people in various countries with Gmail and stay up-to-date on events with Google Calendar. Samasource uses the various tools available to it through the program to connect about 850 people in five countries. Using Google Drive to communicate and share information across a vastly distributed workforce has been very important for training and tracking the organization's projects across the world. Google Ad Grants (formally known as Google Grants) is a $10,000 monthly grant given to organizations looking to advertise on Google. With the potential of driving 10,000 to 40,000 new visitors a month to your website, using this “free money” to attract new constituents to engage with your organization online is a no-brainer. Here are 10 tips to success with Google Ad Grants. Direct Relief International started using Google Ad Grants in 2003. Google helped the group revise its marketing plan, consisting of eight campaigns in paid search and remarketing, including 150 newly created text ads for an end-of-year giving campaign. Recently, the organization saw a 44% year-over-year increase in the number of online donations and a 40% bump in total dollars donated online just from Google Ads. Customize the look and feel of your channel with your organization’s logo and branding. Boost fundraising through a Google Checkout “Donate” button on your channel homepage. The Anaheim Ballet has utilized YouTube to "make ballet accessible to a broad audience and collect donations from the community.” The group is able to tell stories of their dancer profiles, show behind-the-scenes rehearsals, and display instructional videos. It gives Anaheim Ballet a global stage to perform and also eliminates the barrier of entry to viewing the performances. The organization also gets feedback on its performances from its YouTube viewers by asking questions during videos. Create a custom map of your project sites in 10 minutes. Create a narrative Google Earth movie and make it available on YouTube. Collect data in the field with Android devices and Open Data kit and map your data. View online tutorials to help you get the most out of the available mapping tools. Chief Almir of the Sururi tribe in the Brazilian Amazon started using Google Earth in 2007 as a way to protect the rain forest and preserve his people’s way of living in harmony. He invited Google to train his community on how to record stories of tribal elders to share on YouTube, geo-tagging their content, and uploading it to a cultural map on Google Earth in order to share their unique history with the world. Measure engagement of your supporters with your website. Determine which of your AdWords ads are most effective. Identify and understand how volunteers, donors, and stakeholders interact with your website. Track the effectiveness of social media for your campaign. Similar to Facebook, Google+ provides a medium for you to converse with your audience and share photos, videos, and all of your beautiful stories to your community of followers and supporters. Google+ also allows you to use Google Hangouts to host live video conferences with individuals across the world. You’re even able to tailor and target your message to your Google Circles, creating communities within your larger Google+ community for volunteers, donors, sponsors, and even your staff. This Android app allows nonprofits to launch projects that can make a big impact with $1 donations made via mobile devices. Once you’re a member of Google for Nonprofits, you have complete access to set up your projects and fundraise through One Today. You can read all about One Today in a previous post. To register for Google for Nonprofits, you must be a registered 501(c)3 nonprofit organization in the U.S. or an organization in the U.K. To apply for a Google for Nonprofits membership, go here and follow the basic steps below. Make sure to review the eligibility requirements before applying, as some types of organizations are not eligible. 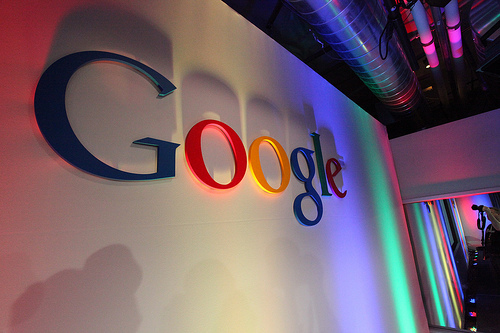 How does your organization use Google for Nonprofits' products? Let us know in the comments section below!